The next total lunar eclipse visible to Western Washington won’t happen until May 26, 2021. SEATTLE — On Sunday night, a total lunar eclipse was visible across the entire U.S. 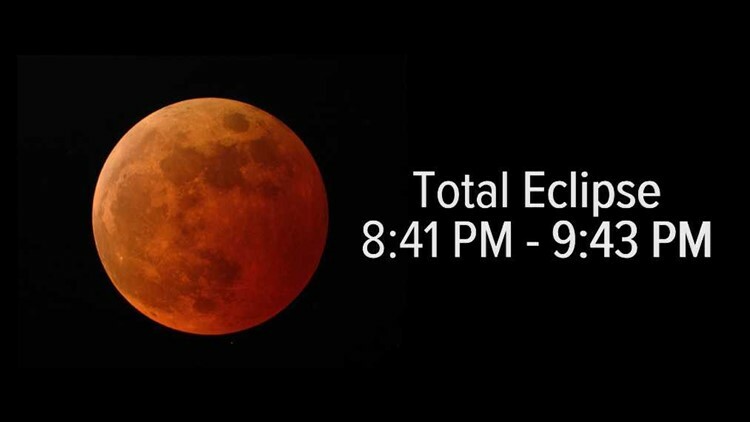 The event from start to finish lasted more than three hours, with the total eclipse lasting just over an hour (You can watch the full eclipse on our YouTube channel or by scrolling to the bottom of this page). So what’s happening during the eclipse? 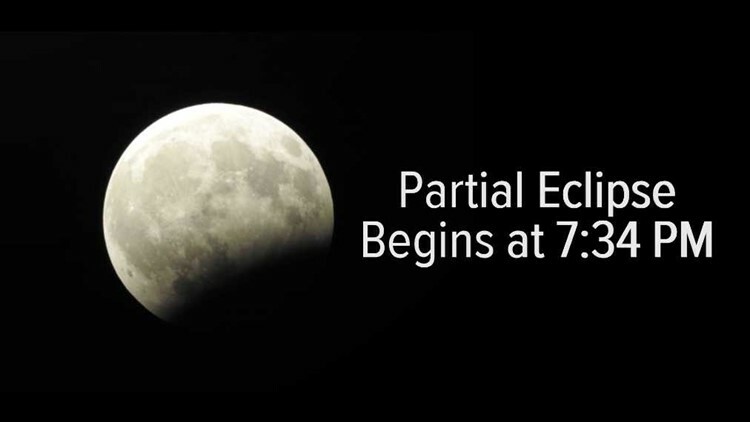 During a lunar eclipse, the moon moves behind earth’s shadow. Because earth is bigger than the moon, lunar eclipses are more common than a solar eclipse, and are seen by a larger number of people. 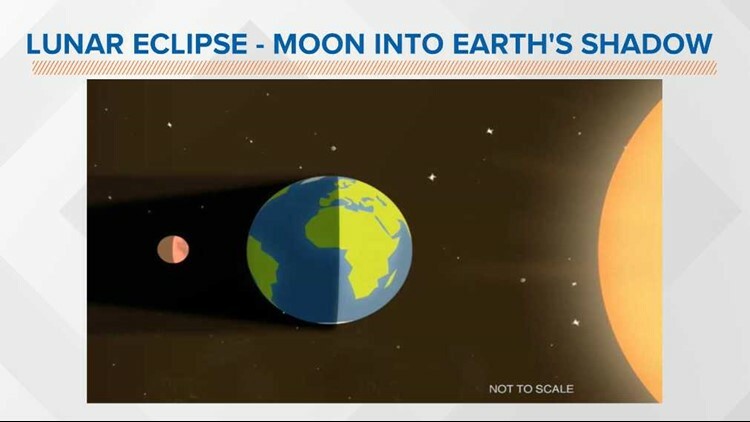 Here’s what happened Sunday starting around 7:30 p.m. As the moon moved into the earth’s shadow, it looked like a cookie with a bite taken out of it. At 8:41 p.m., the moon was completely behind the earth’s shadow and turned a deep dark red color. It turns that color, because light bends around earth due to our atmosphere. Bonus points: this was also a supermoon. A supermoon is when a full moon coincides with the moon’s perigee, the point in its elliptical orbit when it’s closest to earth. By the way, the next total lunar eclipse visible to Western Washington won’t happen until May 26, 2021.